7 Steps To Making The Best New Year’s Resolution. So how do you make a new year’s resolution guaranteed to make you a better person in 2018.
and become part of the small group of people that successfully achieve their goal. 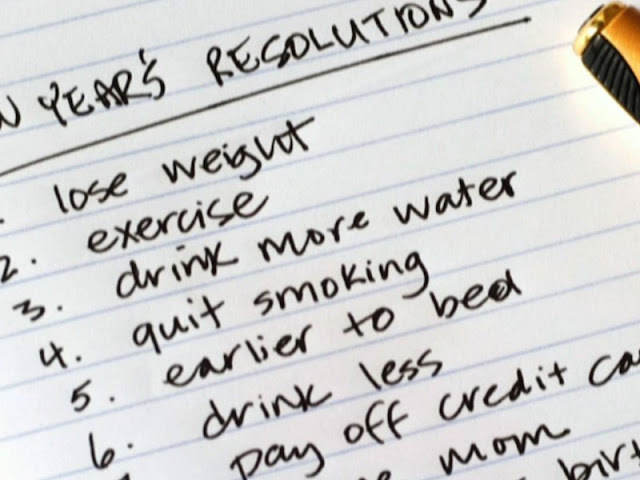 lets see the 7 steps to making a good new year’s resolution. 1. Brain Storm and Plan for Success. The first step to making a good new year’s resolution is brain storming about changes and improvements you’d like to make in your life. It can be just anything whether big or small and make some notes by doing the following. If your resolution is about improving your health, ask yourself, Can I drink more water? Quit smoking? Stop eating fast food or fried food? If it’s about your relationships with others, ask yourself, Are there ways that i can be a better spouse, parent, other family member, or friend? If yours is about your work life, then ask yourself, Can I be more successful and happier at work? Be more organized? Stop procrastinating? By going through this first step, you have started planning for success already. After making your list in step one, what you want to do next is just pick one important thing goal from your list that you will like to achieve first. the chance to be a whole new you at the end of 2018 and that is a much more realistic way of doing it. that will likely prevent you from achieving your new years resolution. So while creating your system, research all identified problems and ask expert for solutions. You don’t have to make these changes on New Year’s Day. That’s the conventional wisdom, but if you truly want to make changes then pick a day when you know you’ll be well-rested, enthusiastic and surrounded by positive people. I’ll be waiting until my kids go back to school in February. 5. Talk to others about your goals. Discussing your goals and why you made them with your family and friends is a very important step at acheiving your new year’s resolution. Ask for their support on these goals throughout the year. If possible, team up and visit the gym or shop at the health food store together. Ask them to speak up if you slip and order a Diet Coke instead of a water, or forget another goal on your list. People who tell others about their goals are more likely to accomplish them, whether it’s because they have extra support they need, or because they’re afraid of being embarrassed if they don’t accomplish them, it’s hard to say. 6. Print out Copies of Your Resolutions. Save a copy on each computer or electronic device you own, such as your cell phone and tablet. Email a copy to your work address and save it to your work computer. By doing this, you will not easily forget or lose track of your new year’s resolution. Whatever your plans and goals are for 2018 I’d do wish you luck with them but remember, it’s your life and you make your own luck. Decide what you want to do in 2018, plan how to get it and go for it. I’ll definitely be cheering you on. Previous Post Previous Post: How Fear of Failure is Limiting Your Success in Life and Business? Next Post Next Post: How to budget and save money when your salary is small.